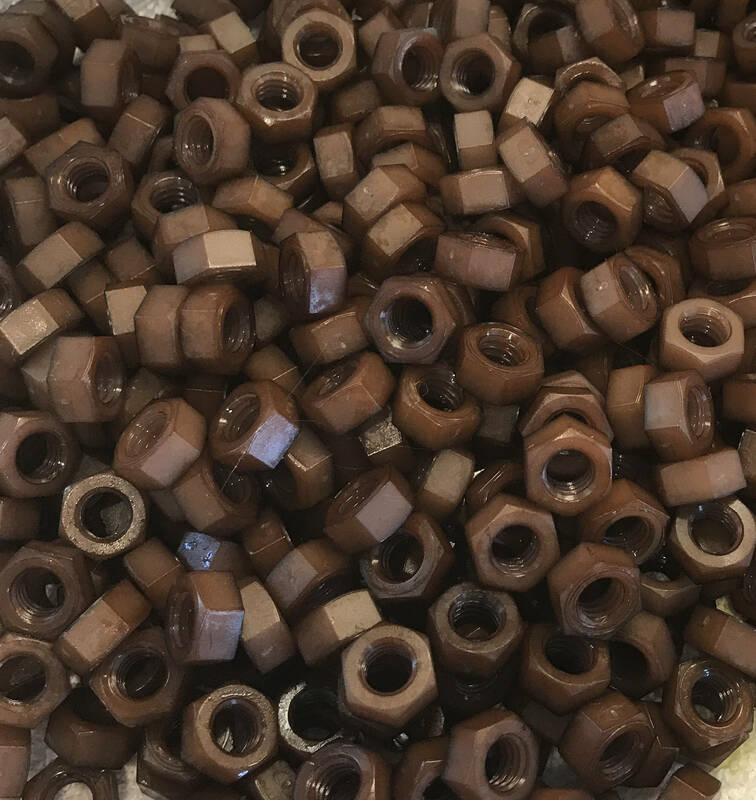 Buying (1) = qty of 100 brown hex nuts. 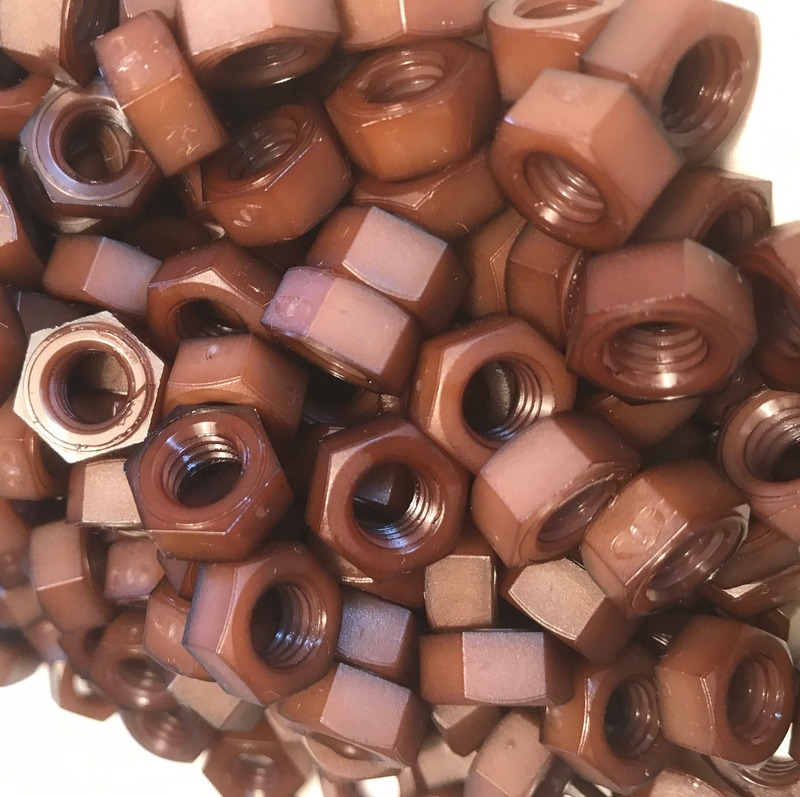 These are nylon brown infused 5/16-18 hex nuts. 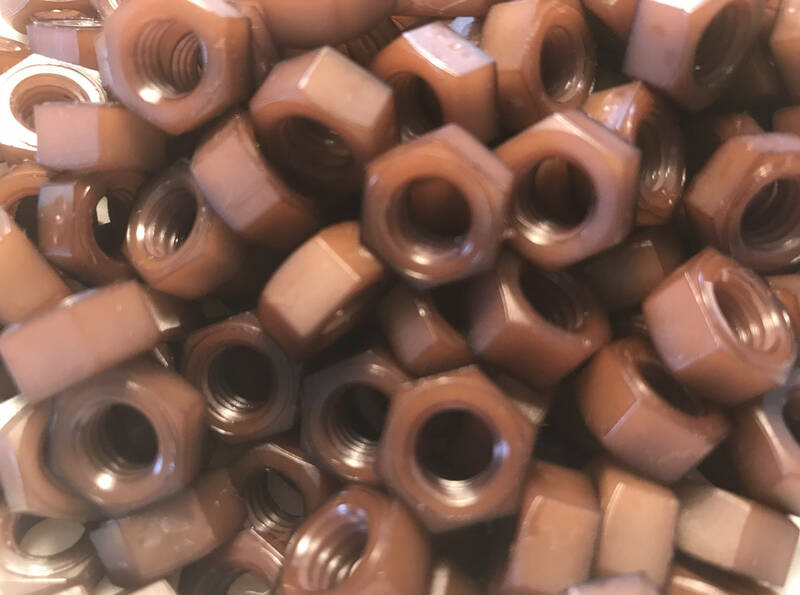 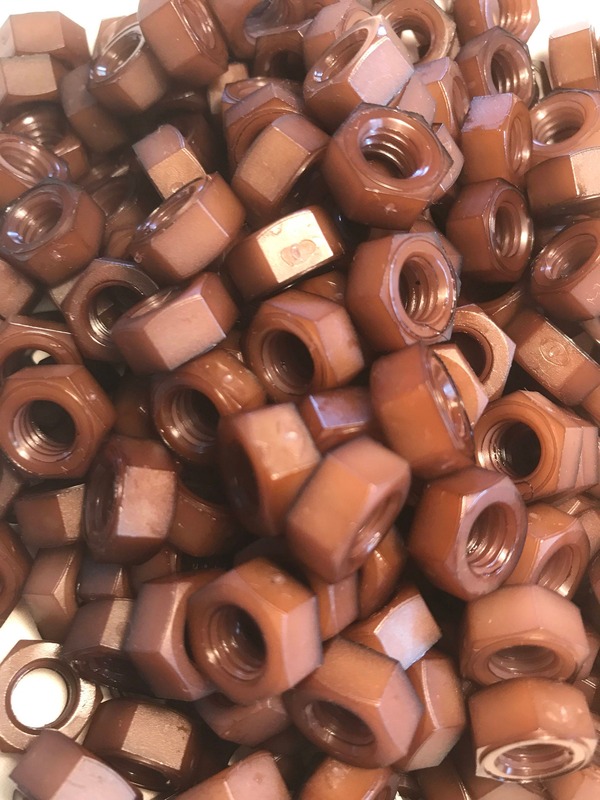 Custom made brown colored Nylon Hex Nut size 5/16-18. 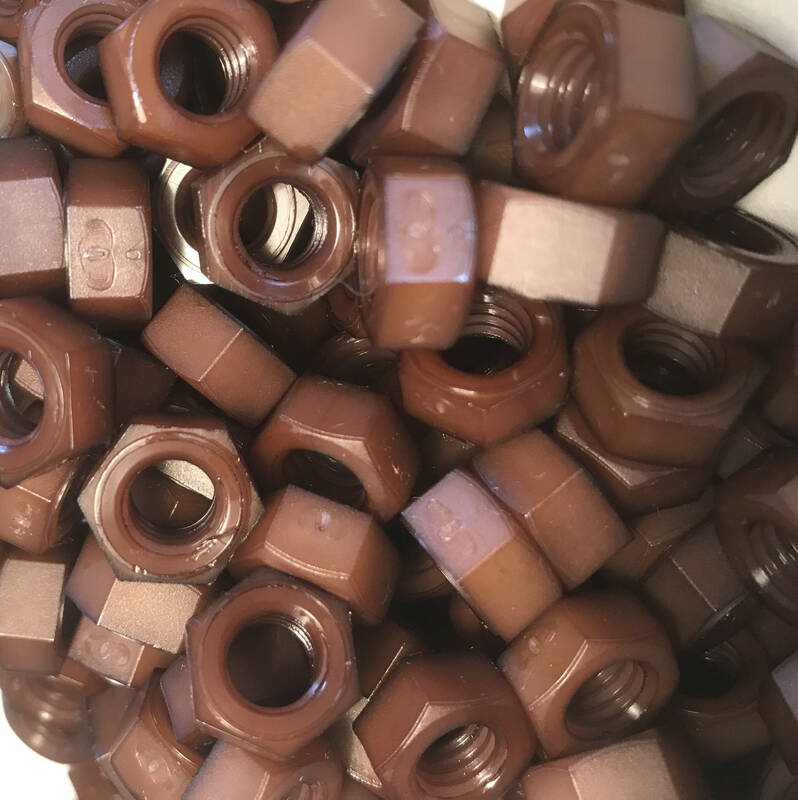 Other sizes available upon request.